Held from the second Saturday to third Sunday of each November at the Ulverstone Civic Centre. ArtEx is the annual Ulverstone West Rotary Club Art Exhibition in conjunction with the North West Art Circle, exhibiting a wide selection of fine paintings from leading local and emerging artists. Running since 1987, it is one of the largest and longest running exhibitions of local art in Tasmania. 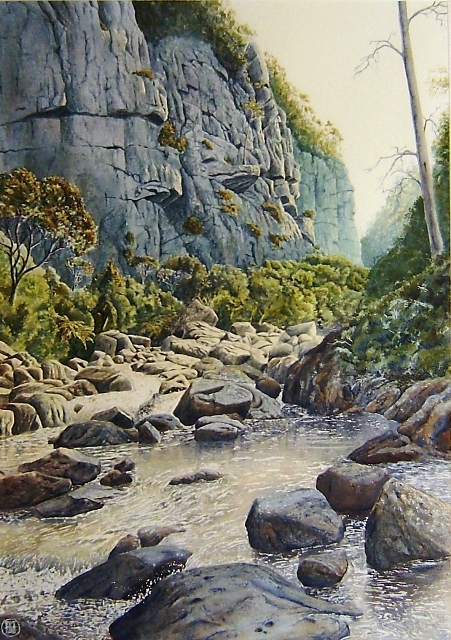 The principal prize is The Central Coast Council Acquisition Award for $2500, which, in the Judge’s opinion, is the best example in any medium on any subject exhibited. Council acquires the work for display in the Council Foyer for 12 months. It is subsequently hung in other Central Coast public buildings as part of the Council’s collection. Eight categories are judged professionally on the basis of artistic and presentation merit. Prizes are awarded to the winners of each category. The artist retains the work unless it is acquired by a sponsor or sold to someone attending the Exhibition. Other sponsors and supporters agree to acquire one or more paintings of their choice. Awards and acquisition commitments typically exceed $20,000. It’s purpose is to promote the appreciation and sale of North West Tasmanian art. All surpluses from ArtEx are used to fund Ulverstone West Rotary Club's youth activities. This is a suite of programs from year 9 and 10 through to the Rotary Youth Leadership Award designed to “Give young individuals experiences to realise their potential”. To learn more about youth programs supported by the Rotary Club of Ulverstone West’s visit our website.